You probably don’t even know it, but many people who send you emails are probably tracking whether you opened them or not. There’s now a solution: Trackbuster. The free service removes the tricks people use to track if you opened an email, before it gets to your inbox. It’s not another app you need to use or check, it simply attaches to your Gmail inbox and scans each incoming email without any interaction. If an incoming email is found to contain a tracker, a label is added to let you know that it was scrubbed. I’ve been using Trackbuster on my inboxes for the last few days and was surprised how many people were trying to keep track of me. The service is free and its creator, Florian Seroussi, says that it’ll stay free forever. When I asked how it’ll be monetized he teased that a premium service will come in the future, with extra features. 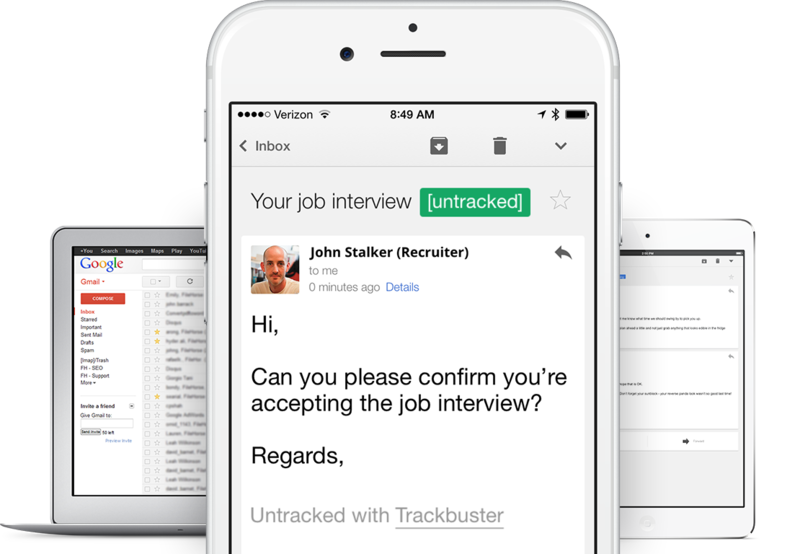 Trackbuster works with Gmail and Google Apps accounts and requires API access to function.